Escape to mid-Wales this Valentine’s Day with a romantic break at the historic Nanteos Mansion, a rural retreat in the heart of Ceredigion. With prices starting at £333 per couple, guests can enjoy fine cuisine, special Valentine’s Day treats and even indulge in a spot of spooning on this special two-night getaway. All guests will depart with a gift from the hotel, a traditional, handmade Welsh love spoon. Built in 1738, Nanteos is a beautiful 22 bedroom Georgian house, set close to the Welsh market town of Aberystwyth. Nestled in 30 acres of simply stunning woodland and private parkland, against the backdrop of the rugged Cambrian mountains, the hotel boasts unrivalled views of the lake and the surrounding Welsh countryside. Guests will be greeted on arrival with a bouquet of flowers, a trio of Dà Mhile Gins and a selection of homemade, heart-shaped shortbread, freshly baked in the kitchens at Nanteos. As well as two nights in one of the hotel’s luxury double rooms, couples can enjoy specially selected pre-dinner cocktails and canapés, before sitting down to a five-course set menu in the yr Eos Restaurant. Guests will enjoy a full, freshly cooked Welsh breakfast each morning and those wishing to dine at the hotel on the second night of their stay will receive a 20% discount on their meal. All ten of the hotel’s luxury double rooms are unique with elegant décor and impressive views of the grounds. Tastefully furnished with plush king-size beds, en-suite bathrooms, TVs and small sitting areas, each room has free WIFI and tea and coffee-making facilities, meaning that guests can relax and spend quality time together. 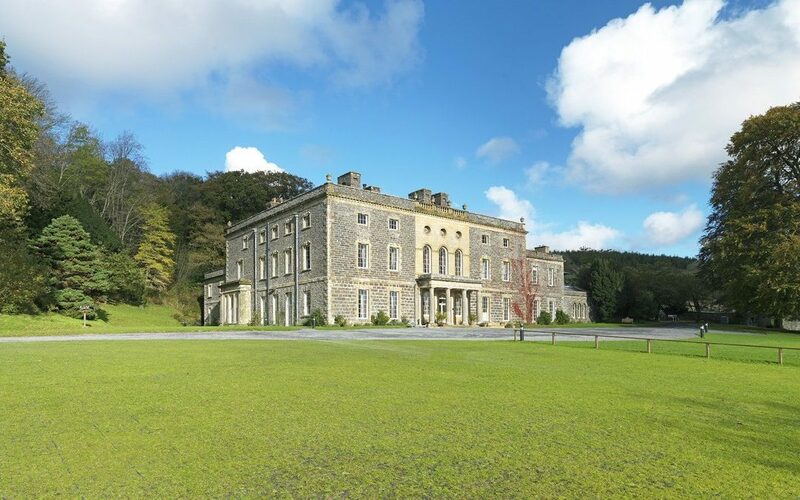 Alternatively, for those wishing to take a romantic stroll in the impressive grounds, or further afield, Nanteos’ excellent location means that there are plenty of places close-by to explore including the spectacular Welsh coastline. Priced from £333 per couple between Wednesday 13th-Sunday 17th February, the Valentine’s Escape package includes two nights’ accommodation, breakfast, pre-dinner cocktails and canapés and a five-course meal on the first night. Arrival and departure gifts and a discounted meal on the second night are also included. Guests can choose to upgrade to one of the hotel’s seven suites, subject to availability. Now covering 30 acres, guests visit Nanteos for walking breaks and to explore the countryside and coastal scenery. The property is dog-friendly and there are a number of pet friendly rooms, located around the courtyard. The house is full of antiques, original art and memories of past inhabitants such as the worn flag stones leading to the breakfast room. Many of the original features remain, including the original kitchen complete with the range, now the breakfast room. The Grade II listed Stables is now the Mews House, a self-catering property. Formally a Palladian Carriage house, the Mews House is situated across a small courtyard from the main hotel. It is fully equipped for self-catering purposes, and opens out onto a private courtyard. There are four luxury double bedrooms all with king size beds, one en-suite bathroom, and two separate bathrooms. The living area comprises of a spacious sitting area with CD / DVD player, flat screen TV, WiFi and dining table. The kitchen dining table can sit up to 10, and has its very own luxury fireplace.